tv-ooh: tv we like to watch on the tv: Daybreak: Aled Jones recruited, Richard Arnold returns. Shall we do a 'LOL'? Shall we? Daybreak: Aled Jones recruited, Richard Arnold returns. Shall we do a 'LOL'? Shall we? Where were you when you heard the news, readers? Has your mind been able to comprehend the vastness of it all yet? Tv-ooh is, of course (given its tendency to talk about things, you know, on the telly and all), talking about the decision to recruit Aled Jones as the new co-presenter of ITV1 morning show Daybreak. Together with one of television's safest pair of hands, Lorraine Kelly, they will anchor 90 minutes of live current affairs-'flavoured' tv each morning, as the new, permanent replacements to Adrian Chiles and Christine Bleakley, who no-one ever speaks about anymore because sometimes you just have to forget. 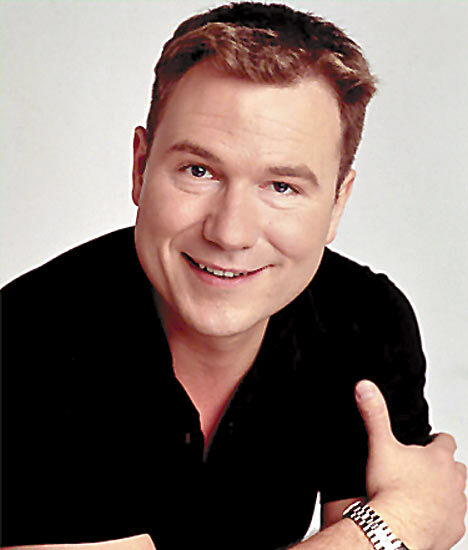 And former GMTV telly expert Richard Arnold has also been appointed as something called a 'Showbiz Editor' who says he is "going back for one reason and one reason alone - to cut Kate Garraway's fringe". So anyone wanting an extra bit of early morning camp on their television has got it in spades right there - added to the mix as if was currently absent. And speaking of which, Lorraine will also keep her hour-long slot from 8.30 as well, which has the best tv programme-name in the business: just 'Lorraine'. So she'll be quite busy won't she? But we can't help but wonder what the very experienced tv journalist Lorraine - because that's what she is, underneath all those items about cookery and lady parts and tiresome chats with people off Emmerdale - made of the decision to recruit non-journalist Aled Jones? The press release ITV issued has an unintentionally amusing clue: "I'm really looking forward to this challenge and to working with Aled who is a warm, funny and a thoroughly decent bloke and is already a good friend." Shall we do a LOL readers? Yeah let's do a LOL. So not only has she identified it as a 'challenge' but the best she can come up with is that Aled is a 'thoroughly decent bloke' and not, say, 'a thrillingly capable live broadcaster' capable of switching between items about dancing dogs and murdered school children at the drop of the hat and in a way so that no-one at home will notice the grinding gear change. As much as tv-ooh rates Lorraine, these changes at Daybreak - to start sometime 'later in the year' but possibly in June - seem a bit odd given the apparent success that shoe-horned stand-ins Kate Garraway and Dan Lobb are currently having on the show. It was broke, then they fixed it, so why now change it and risk breaking it again? Even Kate and Dan's regular stand-ins, Helen Prospero and John Stapleton, give good tv value. 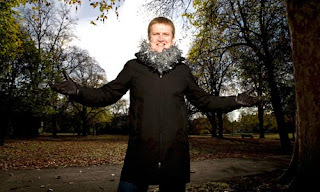 Not that Aled Jones won't too, of course - it would just be nice if it was for the right reasons. And we're not being negative for the sake of it - skilled live broadcasters are probably more appropriate for the job than trained journalists, and you could argue that Aled is. And look at GMTV's Ben Shepherd and Andrew Castle, with their entertainment and sports commentary backgrounds: they both managed to prove their serious interview mettle - after a while - so maybe Aled Jones, with his cosy reputation and mumsy fanbase, might actually turn out to be the hit presenter they still seem to think they need. Let's all hope it's not the step backwards it appears to be - and if nothing else, at least people will be watching, if only to see how good he is. Well, for that, or just for Richard Arnold.